The Movement for Black Lives (also known as Black Lives Matter) aims to expose and dismantle systemic discrimination against the African-American community in the United States. The movement began in 2012 with the controversial killing of Trayvon Martin, an unarmed 17 year-old, by neighborhood vigilante George Zimmerman. The court acquitted Zimmerman of both second-degree murder and manslaughter. #BlackLivesMatter rallied and marched against the court’s verdict, deemed another case of impunity for violence against blacks. In the following months, the movement used social media to expose cases of police brutality and mobilized supporters to pressure local governments and police departments to ensure more accountability. Black Lives Matter activists successfully made police brutality a central issue to the 2016 presidential elections, demanding new regulations on the use of force by police. In an attempt to demonize the movement, activists have been accused of inciting violence against local police and have spurred a modest counter movement called “Blue Lives Matter” (“Blue” referring to the police). In the summer of 2016, two years after the birth of the movement, dozens of grassroots organizations formally formed the Movement for Black Lives and released a comprehensive policy platform to achieve racial justice and equality in the United States. Policy Platform. Movement For Black Lives. The policy proposals taken by consensus from a collective of activists organizations working to end violence against Black communities. A Year of Black Lives Matter. The Atlantic. 31 December 2015. A schematic summary of the broad Black Lives Matter movement in 2015 and a brief discussion of some criticism. How a death in Ferguson sparked a movement in America. CBS New. 7 August 2015. A history of the formation and motivation behind Black Lives Matter. Zimmerman Is Acquitted in Trayvon Martin Killing. The New York Times. 13 July 2013. The story of the Trayvon Martin killing and subsequent court case. The outrage over the case gave birth to the movement. The website of the Black Live Matter forum. Website of Blue Live Matter, a reaction and response to Black Lives Matter. In 2015, President Dilma Rousseff, along with former president and founder of ruling Worker’s Party (TP) Lula da Silva, came under investigation for their alleged involvement in a mass corruption scandal with state-owned oil giant Petrobras. Marches and rallies calling for her impeachment and for steps to tackle rampant corruption in the government have been continuous since the scandal became public. The anti-corruption operation is known as Operacao Lava Jato (Operation Car Wash), which protesters have used as a banner to march under in addition to other slogans. Mass protests have also been help in support of TP and Rouseff's platform, with many of her supporters calling her impeachment process a 'judicial coup' and pointing to the corruption allegations against her successor at the presidency, Michel Termer. At the same time, many have protested the massive amount of funds allocated to the constructing of stadiums for the 2016 Olympic Games instead of improving the country’s infrastructure or health and education systems. The International Olympic Committee (IOC), with the approval of Brazil’s government, first declared that peaceful protests were not allowed within or around the stadiums. This law was later revoked by Federal Judge João Araújo as it violated freedom of expression. Rival movements duel over the future of Brazil. 2 September 2015. An in-depth article on the competing ideological forces protesting in Brazil. Brazilian president under fire as tens of thousands protest in 200 cities. The Guardian. 16 August 2015. Coverage of the protests over corruption. How Brazil’s Olympic Dream Died. Politico. 13 August 2016. Background information on some of the issues that have caused people to protests recently. Brazilian Judge Rejects Using Law to Block Protests at Olympics. The Wall Street Journal. 9 August 2016. The ruling that upheld the right to protest at the Olympics. The new pro-democracy movement in Zimbabwe began in April 2016 with the impassioned plea of Pastor Evan Mawarire on social media coinciding with President Robert Mugabe’s 36th consecutive year in power. 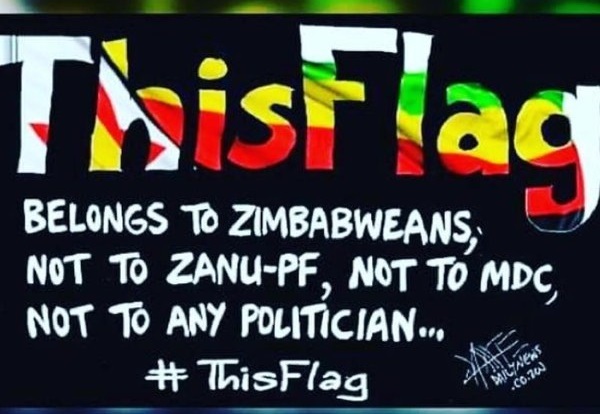 Pastor Mawarire's "This Flag" movement and a number of parallel movements like Tajamuka have organized mass protests and strikes throughout the country. In turn, pro-Mugabe supporters have held marches to show their backing for the long-standing president. The Zimbabwe National Liberation War Veterans Association, which has typically lent unquestionable support to Mugabe, recently came forth and publicly rebuked Mugabe’s abuse of presidential powers. The major demand from protesters are for Mugabe, and his Zanu-PF party, to take responsibility for the current poor economic conditions and launch democratic reforms for more transparency and accountability. More radical movements, including Tajamuka, have explicitly called for Mugabe's resignation. Recently, the momentum behind the #ThisFlag movement has faded as Mawarire has sought asylum in the US. The Tajamuka ("We are Rising") movement in turn is seeking to expand its support base into rural areas. The judiciary has upheld the constitutionality of the protests, contrary to Mugabe's wishes. Zimbabwe anti-Mugabe activist speaks out after beating. News24. 17 September 2016. Highlighting one protester who underwent a beating and Tajamuka's message. Rejected by citizens, #ThisFlag needs to reflect and re-invent. Nehanda Radio. 12 September 2016. Analysis of the recent waning of the #ThisFlag movement. Zimbabwe: Tajamuka movement vows to gather support in rural areas where 'fear of Zanu-PF' is fading. IBT. 8 September 2016. Overview of Tajamuka's strategy going forward to gather greater support outside of Harare. The man behind #ThisFlag, Zimbabwe's accidental movement for change. The Guardian. 26 May 2016. An explanation of the context behind #ThisFlag and Pastor Mawarire. What Everyone's Getting Wrong About Zimbabwe's #ThisFlag Movement. Foreign Policy. 21 July 2016. An analysis of the overlap between the internet activism that propelled the movement and what its demands are. Zimbabwe war veterans boycott Mugabe speech. Al Jazeera. 8 August 2016. Coverage of war veterans' stance on #ThisFlag and some of Mugabe's reactions to it. Tajamuka Calls for Mass Stay Away to Press Mugabe to Step Down. 29 August 2016. An example of Tajamuka's actions and demands. 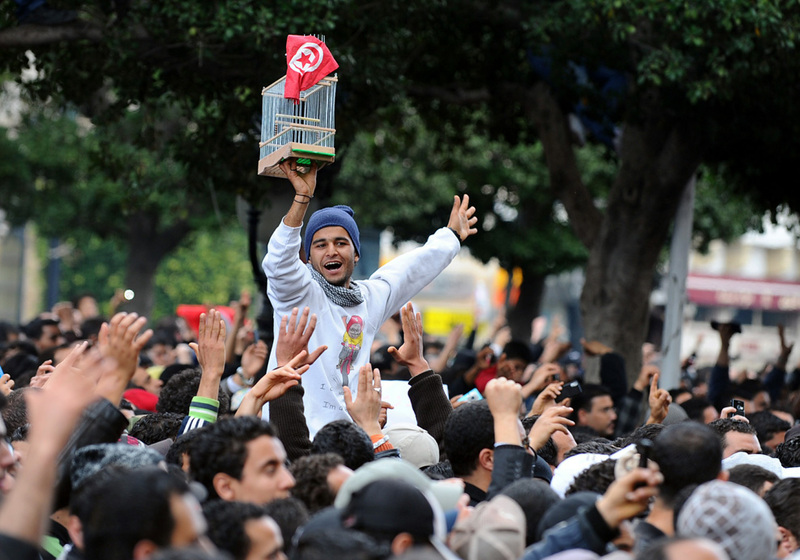 In 2011, Tunisia became ground zero for the “Arab Spring,” a wave of pro-democracy protests that spread through the Middle East and toppled multiple governments. However, five years after the fall of Tunisia's last dictator, protests and popular discontent continue to denounce corruption, economic stagnation, high unemployment, and police violence. In July 2015, an amnesty bill was introduced in parliament. The bill would grant amnesty to former officials guilty of corruption and embezzlement under the previous regime, on the condition that they returned the funds. The National Reconciliation Act caused a mass outcry and was removed from parliamentary debate due to the protests, but it was re-introduced in late June 2016, triggering once again mass protests. Expectations are also high for the new Prime Minster to deliver on promises of increased economic prosperity, which have been slow to materialize over the last five years. New Tunisian Prime Minister tries to break economic reform curse. Gulf Business. 13 August 2016. Article on several of the current challenges facing Tunisia. Tunisia: Amnesty Bill Would Set Back Transition. Human Rights Watch. 14 June 2016. Explanation of the affects that the amnesty bill for corruption in the old regime would have. Tunisia’s ripple effect: What will happen after the Kasserine protests?. Al Bawaba. 31 January 2016. In-depth article about the regional differences in Tunisia and how these affect protests. Anti-Reconciliation Act Protests Dominate Tunis City Center. Tunisia Live. 26 July 2016. Coverage of recent protest over the amnesty bill and corruption. Phnom Penh, Cambodia’s capital, has been the focal point of protests against Prime Minister Hun Sen and the ruling Cambodian People’s Party (CPP) since their contested general elections victory in July 2013. In late 2013 and early 2014, thousands of factory workers went on strike across the country demanding an increase in wages. In January 2014 security guards attempting to disperse the protesters and reinstate order fired into the crowd, killing 5 and injuring 40 more. The marches then decreased in numbers and frequency. As of 2016, Prime Minister Hun Sen has been accused by the opposition of assassinations, planting evidence against his enemies, and arbitrarily detaining social movement and opposition leaders. These cases have sparked the Black Monday movement in which those who support the opposition wear black shirts on Mondays to work and, in some cases, take part in street protests. The Black Monday movement specifically asks for the release of political prisoners and hopes to raise awareness on the injustices committed by the ruling party against freedom of speech. The Black Monday protests received renewed energy as they returned on Monday September 23 after two weeks of no action. The return was also marked by threats from the government and arrests. The opposition, the Cambodia National Rescue Party (CNRP), which has backed the Black Monday movement, have called for mass protests. This move seems to have been sparked by the deputy leader of the CNRP, Kem Sokha, being sentenced to five months in prison and a hefty fine for failure to appear in court. The most recent protests on September 14 were met with repression leading to one death. Government Bites Back as ‘Black Monday’ Returns. The Cambodia Daily. 27 September 2016. Coverage of the recent government response to the Black Monday group. Cambodia’s Opposition Party to Proceed With Mass Demonstrations. 12 September 2016. Radio Free Asia. Background information on the build up to the mass protests. CNRP Defiant Amid Threats. 14 September 2016. Khmer Times. Article on some intimidation tactics from the government directed at the opposition in light of protests. Protests Turn Into Clash with Police. 15 September 2016. The New York Times. What's Behind Cambodia's Black Monday Campaign?. The Diplomat. 14 June 2016. Brief explanation of the Black Monday and its effects. CNRP Warned for Endorsing Black Monday Campaign. Cambodia Daily. 9 August 2016. Insight into the relationship between the protesters and the opposition party. Is Cambodia at a Tipping Point?. CNN. 10 January 2014. Background information on Cambodia since Hun Sen took office. The Colorful Revolution in Macedonia began in April 2016 with the release of information accusing the sitting government of wiretapping the opposition and various government officials. The protests have been dubbed the Colorful Revolution due to the marchers' tactical choice to use paint balloons, paintball guns, and paint barrels during marches to canvas government buildings and monuments. Protesters have taken the name to heart by also noting the diversity of the participants in the events in a country plagued by social, ethnic and religious divisions. The Colorful Revolution was sparked by the surveillance scandal but has also mobilized around corruption surrounding the 'Skopje 2014' project, a construction project designed to increase tourism but that surpassed the initial budget by millions of euros. Due to the protests, a special prosecutor has been assigned to ensure justice along with the prosecution of the wiretapping scandal. Prime Minister Nikola Gruevski also stepped down from office and President Gjorge Ivanov was forced to rescind pardons he had handed to political figures. The Colorful Revolution is ongoing. Demands include a transitional government, increased transparency across the government and public institutions, and more oversight in the use of the government’s monetary resources. Macedonia's colorful revolution. PRI. 1 August 2016. In-depth article on two of leading activists, including their motivations. Macedonia: 'colorful revolution' paints raucous rainbow. DW. 21 April 2016. Context of Macedonia and what led to the movement. Macedonia charges protesters in 'Colorful Revolution'. Al Jazeera. 25 June 16. A look at the protests and initial government reactions. Guatemala mobilized on a mass scale in September 2015 in tandem with an ongoing case by an international commission investigating corruption, known by its acronym CIGIG. It resulted in the resignation and arrest of President Otto Perez Molina, also accused of war crimes and human rights violations, and his vice-president. Currently, the arrests of corrupt officials continue, as do the protests, though on a smaller scale and over different issues. The major demonstrations from 2015 emboldened civil society and strengthened their resolve to continue to use nonviolent tactics. Guatemala arrests 3 ex-cabinet ministers, hunts for 2 more. Daily Mail. 11 June 2016. Coverage of the continuing effects of the protests and corruption trials. March for Water: Thousands Protest Corporate Greed in Guatemala. TeleSur. 23 April 2016. News of the next form that the protests took after the RenunciaYa! campaign. Next Test for Guatemala's Protest Movement: Improving Citizens' Lives. The New York Times. 15 September 2015. Article on the awakening political consciousness of citizens and the challenges faced. The Rise and Fall of Guatemala's Most Feared General. Foreign Policy in Focus. 22 September 2015. Background on the Guatemala's president and the controversy surrounding him. Thailand has a rich history civil resistance and protests, used both for and against democratic ends. Thailand is currently governed by the National Peace and Order Committee (NPOC), a military junta in power since a coup in 2014. The coup took place in reaction to competing mass street demonstrations for and against the democratically elected and controversial Yingluck Shinawatra. The military junta immediately suspended the 2007 Constitution and began to prosecute dissidents. Most recently, it held a referendum on a new constitution, which was approved by 61% of Thais after a campaign marred by harassment and arrests for 'no' campaigners. A civil society network attempted to monitor the vote, in spite of government obstruction. Elections have been promised for 2017, though it remains to be seen how activists and civil society will react to the referendum and whether the military junta will allow for democratic institutions to regain their role in Thai politics. The New Democracy Movement is an anti-junta group, mainly composed of students and activists unaffiliated with Thailand's traditional political parties. After Constitution, What Next for Thailand? The Diplomat. 11 August 2016. An explanation on Thailand's roadmap from the referendum to possible elections. Thai referendum: Why Thais backed a military-backed constitution. BBC News. 9 August 2016. Explanation of nuances behind the referendum for the new constitution in spite of its undemocratic nature. Student activists and the referendum: The pebble in the boot. Prachatai. 5 August 2016. Article on various student groups standing against the coup. Thai Political Parties Oppose Draft Constitution. VOA Asia. 11 April 2016. Details of the differences between the major political parties and their views on the new constitution. New Democracy Movement: Achievements and future. Prachatai. 6 September 2016. A review of the activities of the NDM over the last year and their place in Thai politics. Thailand: Poking the TIger. The Diplomat. 28 October 2015. Looking at the challenges and limitations that the NDM faces in being the main opposition force. Venezuela's opposition coalition (known by its Spanish acronym MUD) is trying to overcome government obstruction and initiate a recall referendum against President Maduro. While the first stage of the process has been approved, the National Election Council has announced that the referendum will not be held this year. The opposition is trying to hold it before January 10, 2017 to force new presidential elections, giving MUD the opportunity to capture executive power. MUD has staged massive demonstrations to pressure the government and the National Election Council to allow the referendum to take place. Meanwhile, the Venezuelan economy continues to free-fall as inflation gets worse; food and medicine are scarce, leading to thousands of deaths in hospitals; crime and violence are rising; and uncertainty about the role of the military in politics adds to the chaos. Venezuela Officials Dash Hopes of 2016 Presidential Recall. AP. 9 August 2016. Election officials set date that would push referendum to 2017. Venezuelan opposition floods Caracas in vast anti-Maduro protest. Reuters. 1 September 2016. Coverage of the largest protests demanding the recall referendum. Venezuela's death spiral is getting worse. The Washington Post. 8 August 2016. Overview of the multiple economic issues facing Venezuelan and how they affect society. Venezuela: Maduro Hands over Power to Defense Minister. PanAm Post. 13 July 2016. Article explaining the military's role in government.